everyone can ride the merry-go-round, a photo by Venus In Furs on Flickr. 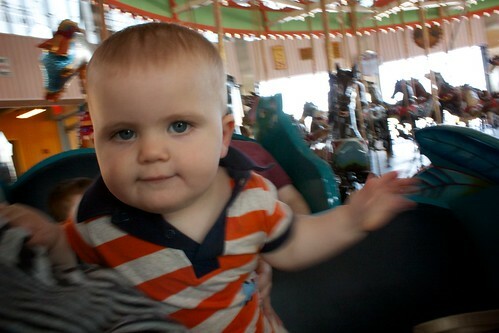 The only ride Oliver could ride on at Coney Island was the carousel. Luckily it was the gorgeously restored B&B Carousell. More photos from our afternoon at Coney Island can be found here.